If you’ve ever wondered what goes on behind-the-scenes of a Real Living photo shoot, this is your chance! Catch glimpses of the team in action and watch as Real Living Ultimate Makeover 2014 winner Amethyst Leal sees the new look of her condo for the very first time! See the dramatic before-and-after transformation and read the inspiring story in the September issue of Real Living Magazine, available at bookstores and newsstands near you! 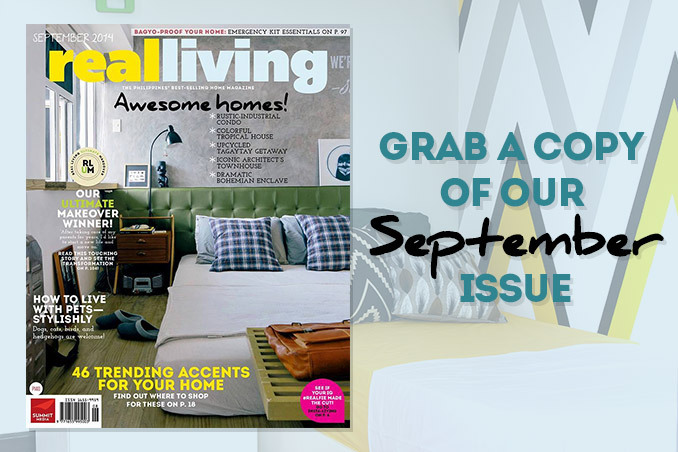 You can also download your digital copy of Real Living on the Real Living App (https://itunes.apple.com/us/app/real-living/id553158056?mt=8) now! Log on to summitnewsstand.com.ph/real-living for more details.